Around fifty women attended the event. 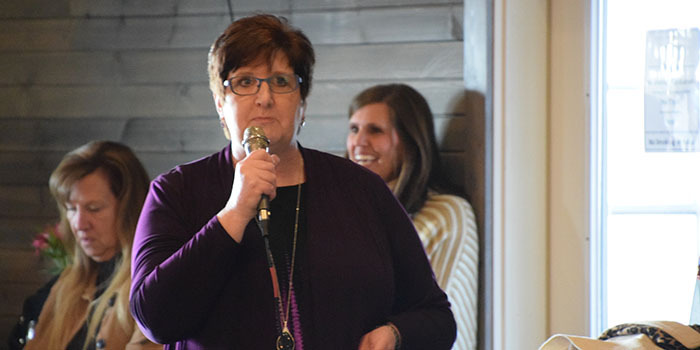 KOSCIUSKO — Around fifty women gathered last night, March 19, to support children’s initiatives of the United Way of Kosciusko County. 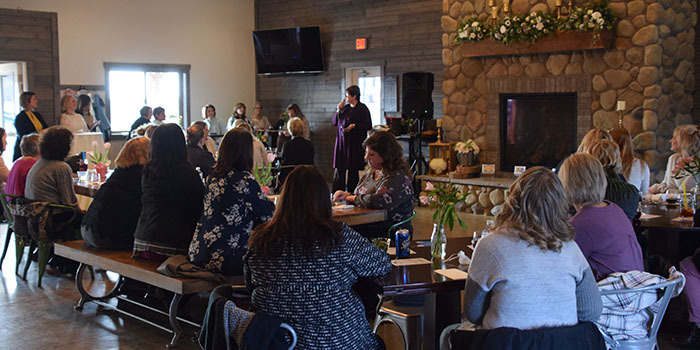 The event, modeled after the organization’s 100 Women Who Care event, consisted of three presentations about local philanthropy efforts. At the end of the evening, each woman got to choose which effort to donate their contribution to. Joy Goshert, assistant superintendent at Wawasee Community Schools, talked about the school readiness program Kindergarten Countdown. The program was developed to help children with no preschool experience get prepared for their first year of school. United Way partners with both Wawasee and Warsaw schools for this program by providing funding for the necessary staff. Kindergarten Countdown teaches children school routines, academics and social skills. 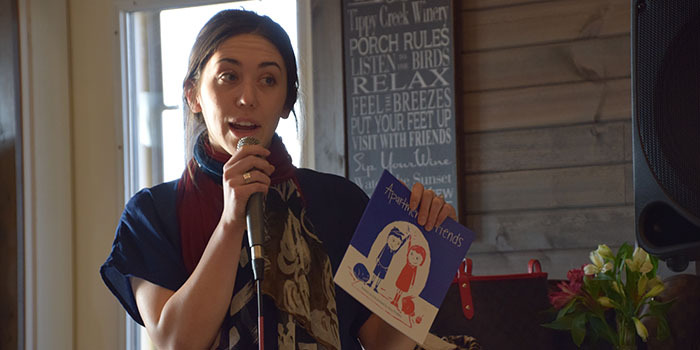 Lee Ann Ousely, KGPCo, and Asia Miles, Grace College student and author of the children’s book “Apartment Friends,” discussed the Read United spring program. Read United matches up volunteers with elementary classrooms to read with students for four consecutive weeks. This year, volunteers will be reading Miles’ book. 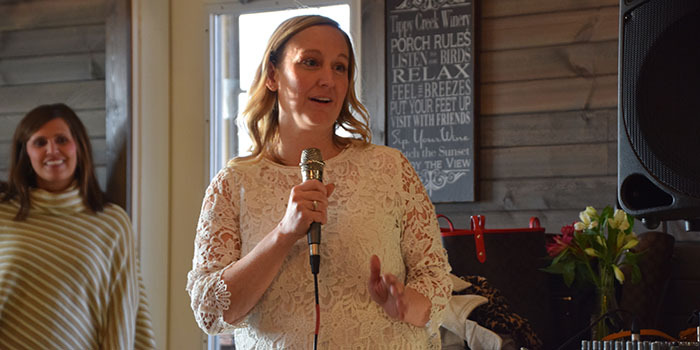 Erin Syslo, director of development of United Way of Kosciusko County, discussed United Way’s 2019 Big Give project, Bundle of Joy, a diaper donation drive. In Kosciusko County, one in three families struggles to provide diapers for their children. The organization hopes to collect 25,000 bundles of diapers and wipes to give to local families to address this need. If you would like to contribute to this project, you can bring your diapers and wipes to the K21 Pavilion, 1515 Provident Drive, Warsaw, from 3:30 to 5:30 p.m. on Tuesday, May 7. Items can also be purchased and donated through United Way of Kosciusko County’s Amazon Wish List. If you were unable to attend the event but would like to provide a monetary donation to one of these causes, visit online. Erin Syslo, director of development of United Way of Kosciusko County, discussed United Way’s 2019 Big Give project, Bundle of Joy. Asia Miles, Grace College student and author of the children’s book “Apartment Friends,” discussed the Read United spring program. Joy Goshert, assistant superintendent at Wawasee Community Schools, talked about the school readiness program Kindergarten Countdown.